You can now order the iPad from its online stores (which will begin shipping next week), and if online sales go well, through its physical retail stores early next year. 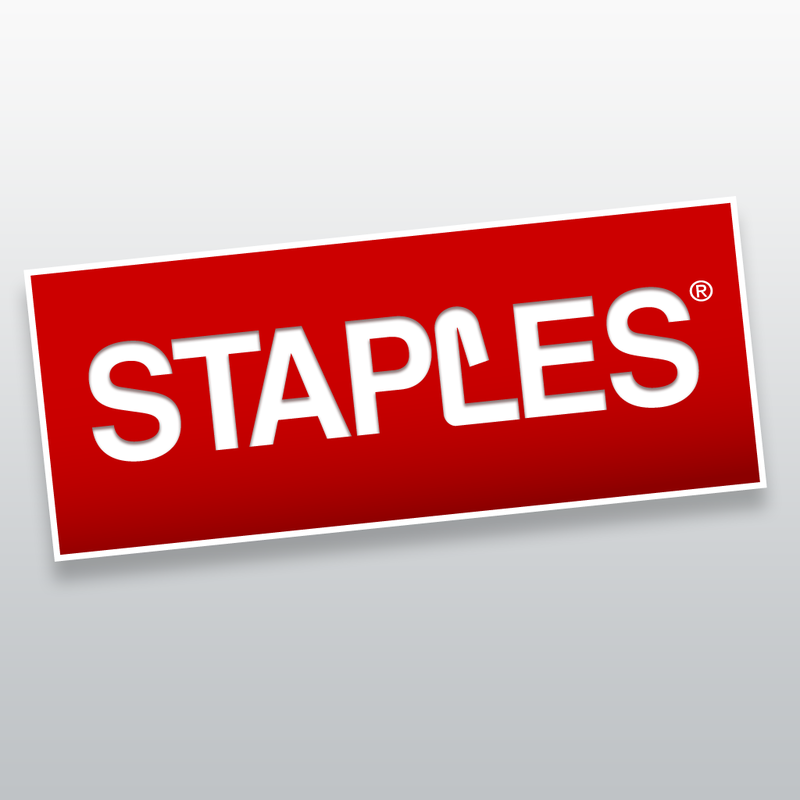 Staples will also begin putting up iPad kiosks in its stores next week. Apple's iPad and iPod are included in Staples' rewards program, whereby buyers can get back 5 percent in rewards, plus free shipping on Staples.com. In mid-February, Regis Mulot, the company's SVP of Global Human Resources, announced that "Apple products are coming to Staples" in the U.S. And sure enough, just a few days later, Apple products came to Staples in the U.S., except they came in the form of Apple accessories only and not actual Apple devices. 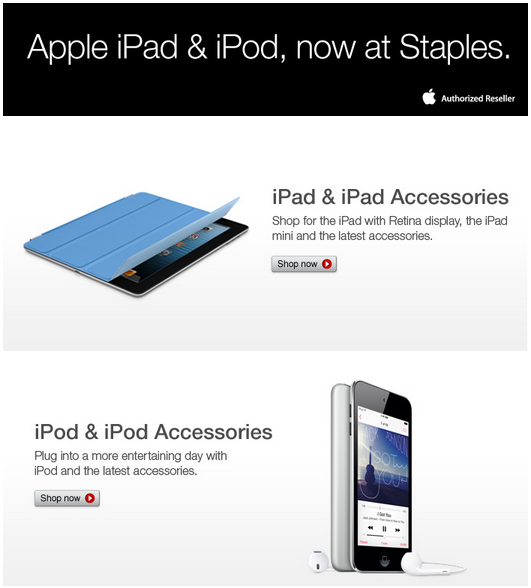 "Apple accessories, now at Staples," the store's heading for its Apple products page used to say. But following this latest development, now it says, "Apple iPad & iPod, now at Staples." 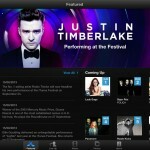 But if you really want to be in on the latest Apple products, you might want to hold off until Apple's yet-to-be-confirmed special event in October, during which the iDevice maker is expected to announce a refresh on its iPad and iPod lineup.